Juicy Fruit (aka Fruity Juice) comes in this week from Emerald Care in Santa Ana. I love an uplifting sativa or sativa dominant hybrid, but at times in Orange County, it feels like we are swimming in indicas. Southern California is certainly the land of the OGs. While I’m not adverse to the weighty effects of indicas, I smoke throughout the day, so I can’t be going off for naps every few hours. 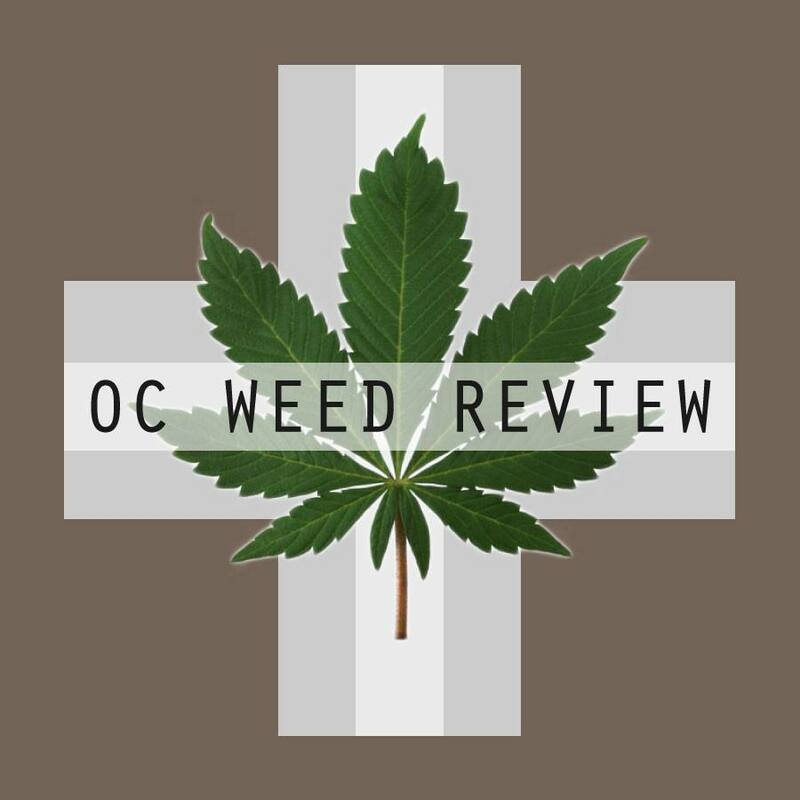 Thankfully, with just a bit of digging, some sativa gems are found on menus around the OC, and just as I was thinking I wore out the current strain trends, I came across Juicy Fruit. When I pick my medication from the dispensary, I like to drop my nose into the jars to get a real sense of how the strain will taste and smoke. Unfortunately, Emerald Care some time ago began to prepackage their eighths in sealed bags. I knew most of the buds on their shelf: the Blue Dreams and Super Lemon Hazes and GDPs. I’ve seen them before and know their unique smells. Juicy Fruit though was a mystery. All the reviews in the world can’t justify that first moment of interacting with a strain, and I was eager to get my donation home. Juicy Fruit is a dark green bud with very light orange hairs. This harvest is a bit under-trimmed and the buds are lightened by the undersides of a few extraneous leaves. However, they are pleasantly frosted and become visually soft. Although this bud is mostly sativa, you can sense the Afghani indica in the nugget’s shape and the fluffiness with which it breaks down. The taste and smell are tropical and sweet: a fruity concoction sipped beachside. However, when smoked, this harvest loses much of that flavor after the green hit, and a few times I even caught a sour burning note at the end, a familiar smell. Sure enough, I found a seed. Then I found a second. By the time I finished my eighth, I had nearly a dozen striped seeds, enough to grow a nice little hedgerow. When I was buying goodness knows what strain from a dealer, I could expect to find a quantity of seeds. However, at $40 an eighth, finding this many seeds is unacceptable. In the previous year, I’d found a total of 3 seeds in my medication. In this bag-11. The high was unexpectedly heady. Based just on aesthetics, I figured this to be an uplifting sativa–dominanat hybrid. I was wrong. There is much more of that Afghani than I anticipated, and when smoked late in the day, Juicy Fruit twice put me down for an unplanned nap. I enjoyed it as a lazy morning smoke on the weekends and relished in the joyful, introspective high, but I had a hard time accomplishing a thing during the work week. Juicy Fruit is effective for pain relief and insomnia, though not as heavy and incapacitating as a full indica. Like most indica/sativa hybrids, this balanced strain brings in qualities of both to create a rounded body and mind medicating experience. Other than the seeds, Juicy Fruit was a pretty decent strain. I love finding those bottom shelf deals. Yeah, juicy fruit is my second best favorite strain, but i did mail order with Zippybud1 and got AAA Indoor without any beans/seeds.